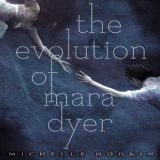 I was excited to continue my journey in the Mara Dyer trilogy by Michelle Hodkin and once again went with the audio version for The Evolution of Mara Dyer. I love an unreliable narrator, and Hodkin is brilliant at keeping the reader second-guessing. I liked The Unbecoming of Mara Dyer, but I loved the twisted, mind-bending tale delivered in the Evolution of Mara Dyer. 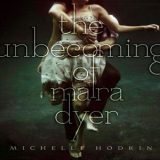 The Unbecoming of Mara Dyer is the first novel in the Mara Dyer trilogy by Michelle Hodkin. The tale is a mystery and a romance with a paranormal twist. It has an unreliable narrator and was one heck of a crazy ride. Mini review: Twisted, dark, romantic, frustrating, and suspenseful. Hodkin delivered a pull your hair-out read that left me scratching my head and screaming for more.